A high-class finish for prestige buildings. 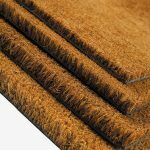 The herringbone patterned ribs on the surface of a Premium Scrape matting system provide a high-quality appearance, in keeping with prestige locations. 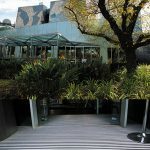 This versatile and durable matting system is suitable for use in buildings where an element of luxury is intrinsic to the interior design. The neutral tone of this matting system reflects its premium appearance while ensuring it will blend nicely with any internal colour scheme. 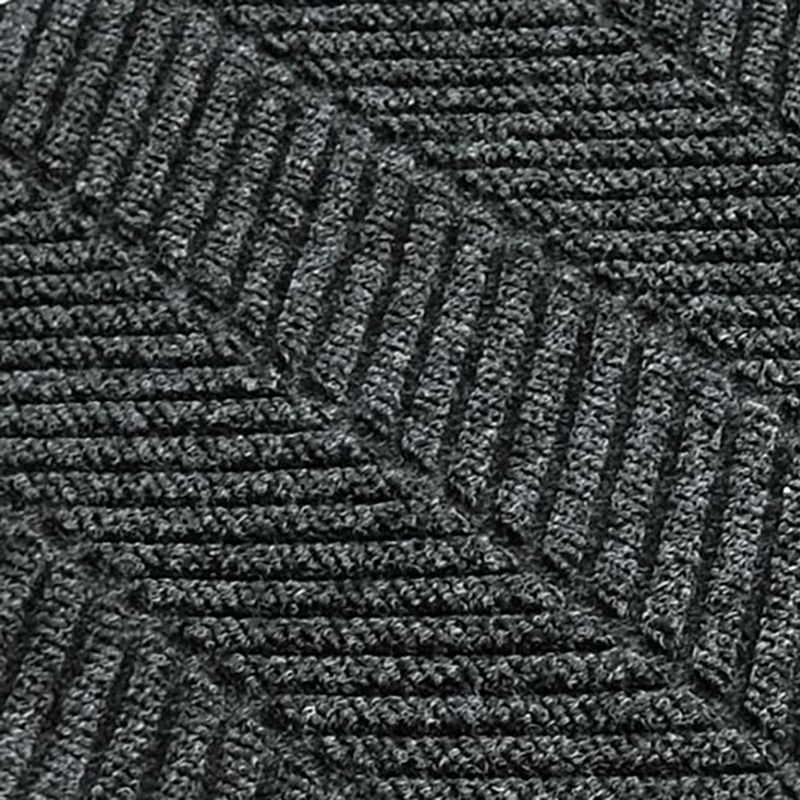 As well as creating a premium appearance, the herringbone design features rigid stripes which act to scrape and clean footwear effectively. 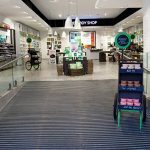 The matting surface is constructed from highly-absorbent and hardwearing polypropylene fibres, which also dry shoes as they pass over matted areas to protect internal flooring from water damage. 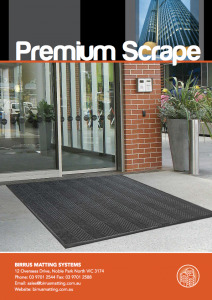 Premium Scrape is durable enough to be installed externally as well as within buildings to allow for full coverage, from the building entry, through the lobby and into lifts as required. Every Premium Scrape matting system is custom-sized to the building’s requirements to ensure the required fit and coverage. 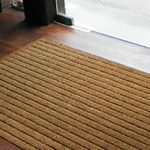 Based on the site requirements, this matting system can be supplied for recessed installation or edged for loose-laying.